- the annihilation of the Serbian people on that territory with the aid of a whole arsenal of methods of genocide: murder, expulsion, eradication of historical consciousness. The aim of that war is to conquer: its aim is to seize Serbian lands: to take over Kosovo, Metohija, Southern Serbia and then even Pomoravlje (the Morava basin), even Povardarje (the Vardar basin) on the other side, as a central area of the Balkans; to create a new, militant Albanian state which would change the map of the Balkan Peninsula in the very same way as was planned at the time of the Berlin Congress and the creation of the Albanian League of Prizren (Prizrenska Liga) - 1878. For the achievement of that programme Albanian imperialism has been using and misusing all the political and social movements between the two World Wars, during the last war and after it, including the international labor movement. Therefore, there is no excuse for ignorance of and mistaken ideas about those facts, and particularly there can be no sense in persistently turning a blind eye before that dreadful political abuse which has transformed the instruments designed for the achievement of equality of nations into instruments of oppression of the minority by the majority, of the Serbian nation by the Albanian nationality. An important role, even an extremely important one, in all these "events" - as the tragedy of the Serbian nation in Kosovo is feebly and euphemistically called in our daily political jargon, is played by the Serbian Church. Somehow it is always the first to be hit. Its temples and monasteries, its property, but also its clergy, its monks and bishops, were the first to undergo molestation and humiliation whenever there was an outbreak and "escalation", a new offensive of Albanian imperialism. 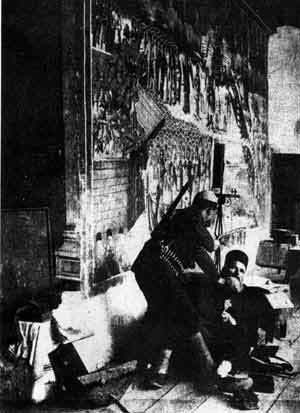 The enemy demonstrated unmistakably the deliberate choice of its targets, indicating that the Serbian Church is an inseparable part of the Serbian nation, even an important spiritual and moral element in its national identity, its fortress and backbone of its survival. 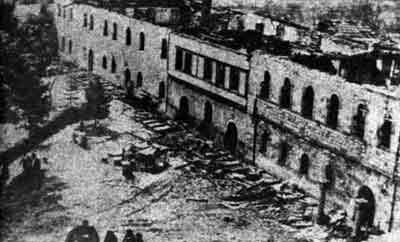 War against the Serbs was never waged without attacks against the Serbian Church; thus there is no question of any conviction of the Church which would brand it as an uninvited element in the Kosovo "events"; there is no question of any Serbian "clerical nationalism", the Serbian Church has been a target of aggression for the Great Albanian idea, a target of all assaults against the integrity of the Serbian nation. Even here I have to turn back to history. For without it nothing can be understood in Kosovo or about it. The basic error, and if I may add - an immense mistake, is to neglect the facts which have for centuries led to what is happening today. For there has been no distinct, peaceful past, but intense succession of events that stretch to this very day, even if their origin and birth might have been a hundred, three hundred or even more hundred years back. Naturally, a European observer finds it quite difficult to understand the reality of the past in the events, conflicts and crises of our time, but that is the basic and undeniable truth of our Balkan fate, particularly of the Serbian people (not only in Kosovo). Nothing started with the so called "counter-revolution" in Kosovo in 1981. What happened in 1981 had been announced by revolts in 1968, in 1944-1945 and in previous years, but also in 1915-1918 and in 1913, not to mention the genocide and the seizure of the Serbian lands before 1912. Also, one must know something about the distant past of Kosovo and Metohija in order to understand the aggressive imperialist nature of the Greater Albanian behaviour and attitude towards Kosovo and Metohija. That distant past discloses the roots of the Serbian Church in that area and its reasons for the adoption of its present stand and its fate in the defence of the Serbian people in this country. First of all, the territory which Albanian nationalism wishes to subdue was populated by Serbs as far back as the 7th century, at the time when the ancestors of today's Albanians, the historically anonymous shepherd tribes of quite unclear ethnic origin, were a great distance from it. According to 13th and 14th century historical sources 98% of population of Kosovo and Metohija was Serbian, and among the remaining 2% were Greeks, Wallachians, even Saxons and others, all of them more numerous than Albanians. That land was included in the Serbian-populated Nemanjic state at the end of the 12th century, and it remained a densely populated Serbian territory throughout the Nemanjic reign. Precisely there developed the centre of the spiritual life and culture of the Serbian people during the Middle Ages; the Serbian Church had its monasteries there, most important of all .the centre of first the Archbishopric and then of the Patriarchy in Pec. Those high achievements of Serbian culture which enabled it to join European civilization and which earned it a place in the cultural heritage of the world were created there. Serbian literature was created there - in a live dialogue with other spiritual centres of Serbia -from Chilandar to Studenica and Mileseva. Without all that it wouldn't be possible to talk of the Serbian people in the Middle Ages, and it is by those achievements that this very region appeared vital for the historical foundation of the Serbian nation. It is finally evident that the attack on this Serbian land and the arrival and spread of the Ottoman Turks and all of its consequences in the following centuries were the source of many national troubles and catastrophes and that the unity of the Serbian nation and of its lands was endangered for the first time when the Serbian ethnic character of Kosovo was endangered. Due to their strategic geographic position ("Who holds Kosovo he holds the Balkans"), Kosovo and Metohija acquired an important position in the plans of Ottoman imperialism as early as the 15th century. Islamization of this region was started, at first through colonization by the Turks themselves (garrisons, towns), and later, particularly after the 16th century, by colonization of Islamized Albanians as well - at first in Metohija and then in Kosovo and even much farther afield. The spread of these wakes of migrations and Albanian colonization as far as South Morava and Vardar and through the basins of Morava and Vardar had the characteristics of a planned destruction and encirclement of the Serbian nation as the spearhead of anti-Ottoman resistance. In the 19th century, following the victories of Serbian uprisings in the Belgrade district in 1804 and 1815, that process took the form of planned and methodical oppression of the Serbs, with all the characteristics of genocide. The demographic ratios started changing ominously in the 17th century: the privileged Albanian newcomers shattered the compact Serbian settlements and took the land step by step, so that by the middle 19th century, and particularly after the Berlin Congress, one could already talk about an Albanian majority in the region as a whole, though not to the same extent in all its parts and not in the ratio that it is today. All that means that the hardships in Kosovo started as early as the 17th, and particularly the 18th century, and that the process which gained impetus during the 19th century might today be entering the last phase of an attempt to banish finally the Serbian people from that area. The hardships of the Serbian Church in Kosovo and Metohija started with the hardships of the Serbian people at some important moments, soon after the Battle of Kosovo in 1389; destruction and murder began in those first years following the disaster in the Field of Kosovo - the Turkish conqueror knew no mercy, he hit wherever he could. The conditions were difficult for the survival of the Church; the Patriarch withdrew into the Despotic state of Moravian Serbia, and the organization of the Serbian Church was in deep crisis in the late 15th and early 16th century. However, the restoration of the Patriarchy of Pec in 1557, while it was still not too late, put the church back in the position of a patron of the organized spiritual life of the Serbian people; and due to lack of political leaders - in a position of its protector and leader. At the same time the Serbian Church was subjected to constant pressure, molestation and terror from the Ottoman rule in an attempt to suppress the birth of any ideas of liberation among the people. During the whole period which lasted more than two hundred years, until the abolition of the Patriarchy in 1176 the Serbian Church was attacked, but it stood fast and tried to preserve all the centres and all components of its spiritual identity, and through them also the historical consciousness of the Serbian people, the Patriarchy of Peć itself and the monasteries, the holy relics and the Serbian cults; Church property - which was exposed to robbery and confiscation; the written heritage, small fragmented remnants, at least, of the literary life of the Medieval Serbs, the texts containing principal Serbian recollections, the main memories of the Church and of the people - saints' biographies and masses, odes and laments, chronicles and genealogies, and documents. Historical sources from the 17th up to the beginning of the 20th century almost ceaselessly testify to the miseries of the Serbian people, but also to the sufferings of the Church. Roman Catholic reports to the Congregation for the Propagation of Faith in the 17th century and the reports by Serbian Consuls from Kosovo from the end of the 19th century and on the eve of the Balkan War mention no single case of terror over Orthodox Serbs in which the churches and the clergy were not the first to be hit. From beatings to murders, from looting to destruction, they were all there, and throughout that long period of history everything was the same. The monotony of those crimes is terrible, but the solidarity of the Church with its people in martyrdom is also amazing. But the mission of the Church was not accomplished by those outward manifestations, to call them so, of the struggle for survival of the people in Kosovo and Metohija (as well as in other regions). All that effort by the Church, its suffering, was envisioned by relaying the most upright messages about the aims of our existence which are above "this world", which are worthier and stronger than history. The lasting values of a spiritual culture which had been adopted with the christening of the Serbs in the 9th century, renewed and developed in the movement of the 13th century inspired by the cult of St. Sava, continued to renew and prove its worth - in church documents and songs as well as in the folk poetry which was obviously inspired by the church; in sermons and speeches; in spiritual ministering to its flock; in the monks' prayers and their self-denial. The spiritual triumph of that culture is what we call "the commitment", but that is not a glorification of death or of defeat, but quite the contrary - it is the superiority of the spirit, of sacrifice, of love, of life. The aim of the Church was, and had to be, the preservation of the spiritual integrity of the people, meaning foremost its conscience and its morale. That raised an enormous force of resistance which, depending on actual historic events, was realized in a very visible and effective way, even politically. First of all, it impossible to overlook the fact that the Serbian people resisted massive Islamization despite the great attraction of benefits enjoyed by the new Moslems and which, for example, were used so lavishly by Islamized Albanians at the expense of Christian folk. (The percentage of Islamized and Albanized Serbs in Kosovo and Metohija was not great - despite heavy pressure and use of force - not higher than 2-3%.) Which means that spiritual values, the dignity and the morale of the individual and of the nation as a whole were collectively held more worthy than some earthly gain. Which further means - they were stronger even than death itself. Without it national freedom would not have been achieved in the 19th century. The national identity of the Serbian people would not have been preserved without that moral and spiritual energy nurtured by the Church by way of its teaching concerning honesty and justice, virtue and the values of love, faith, hope, restraint and self-control. National freedom in 1912 was welcomed by the Serbian Church in Kosovo and Metohija, but it resisted the temptation to see that freedom as a chance for its own expansion, for a strengthening of the Christian Orthodox faith which was not based on freedom of conscience. Well known is the 1913 affair in Pec, then under Montenegrin mandate, when an attempt was made under the influence of the local authorities to convert local Albanians of Moslem faith to change their religion. That attempt was curbed at its very beginning and condemned most strongly. Similar ideas after World War I, when, even if only in isolated cases, it was intended to "recreate" the former situation and convert the once Islamized people back into Christianity, into the Orthodox faith, and probably by that method into Serbs also, were clearly condemned and quelled through the conviction of the Serbian Church. In that way the Church defended not only elementary human rights and freedom of conscience but also its own spiritual integrity which can never be as endangered from without as it can from within. In relation to the Albanians the Church preached peace, tolerance and brotherhood, the forgiveness of acts of terror, not revenge and punishment. It acknowledged the good deeds when they were done, and emphasized the positive examples of the loyal behaviour of the chiefs from Rugovo and Decani in the defence of the rights, property and inhabitants of the monasteries, this in line with the custom and the provisions of the Turkish Imperial firmans (charters) which, particularly in the 18th century, tried to ensure adherence to the laws and a form of immunity for the Church and its property in Kosovo and Metohija. Unfortunately, the hardships of the Church in that region did not end with the event of freedom in 1918. Renewal met with great difficulties and with everlasting "disputes" with the Albanian neighbours about damages done to fields and woods. The monasteries of Kosovo and Metohija had to deal with a lack of understanding, ill-will sentiments and corruption from the new authorities. For example, the archives of Decani are filled with documents which demonstrate that the hardships were not over, that at certain times they even doubled, that the Albanian element was being protected to a much greater degree than would be considered possible by the national, local and regional authorities, at the expense of the Church. The twenty years of the Kingdom were marked by constant disputes and defence of elementary property rights and of the dignity of the Serbian Church in Kosovo and Metohija, even by references to Sultans' firmans which, at least formally (but in many ways also factually) respected the original rights of the monasteries. 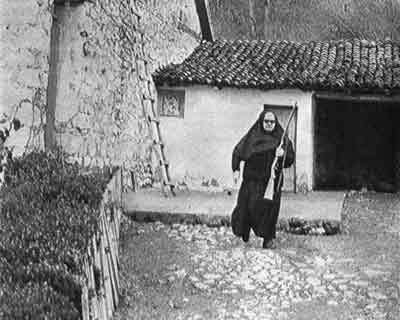 Furthermore, until 1924 the Church was the object of the terrorist actions of the Albanian brigands (kacaci) to such an extent that Visoki Dečani, for example, needed to be garrisoned in order to repeal or prevent the attacks on the monastery. 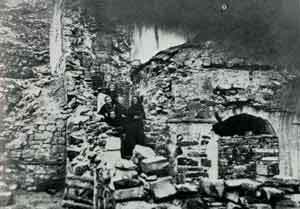 During the last war the expulsion of the Serbs and of the Serbian Church in Kosovo and Metohija reached a massive degree; once again churches and monasteries were burned and destroyed, there was pillage and murder. Unfortunately the hardships of the Serbian Church did not stop even after the liberation of Kosovo and Metohija in 1944. Instead of enjoying a peaceful recovery and development in freedom according to the proclaimed principles of national equality and freedom of confession, the Serbian Church became a target not of only of the continuous activities of Albanian Chauvinism, but also of sectarian treatment by the political factions and by the authorities at various levels, from local to higher. Thus new hardships, even more difficult, were added to the traditional ones. Historians still have to study the circumstances in Kosovo, including that of the Serbian Church, prior to the famous Brioni Plenum of 1966. The experience of the Church from that period is negative: in no way could there be mention of protection and particularly not of privilege of the Church as the institution of the Serbian people. On the contrary: the prevention of the "Great Serbian" ideology, proclaimed as one of the main goals of the national policy of the Church, entailed numerous limitations for the life and activities of the Church. But the real hardships began after 1966, and not only that, they did not cease after 1981, but they were even increased. The Church was the first, in the full sense of the word, to be hit by Albanian Chauvinism, battered by the underground activity of the enemy in the field and the delayed or even antagonist action of the local legal factors. Reports by the Episcope of Raška and Prizren kept the Holy Synod constantly and fully informed of all forms of violence to which the Church was subjected in that diocese. Thus the well known step was taken by the Church on 19th May 1969, when it made a plea to the President of SFRY Josip Broz Tito. In a documented letter the Church demanded protection by the President of the Republic. The Standing Synod of the Serbian Orthodox Church stated that it had informed the competent authorities of the SR Serbia, as well as the Federal Executive Council, many a time of each concrete case, but that the situation did not improve. "The violence would decrease somewhat only to reappear elsewhere in an even more serious form. In the last year its forms became extreme. 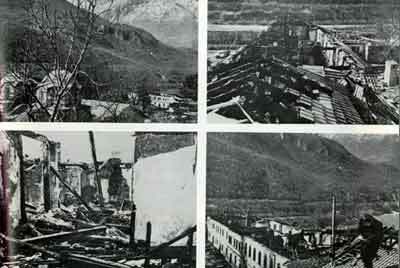 There was not only the destruction of crops in the fields, destruction of forests (monasteries of Devič, Dečani, Gorioč near Peć), desecration of tombstones (Kosovska Vitina and elsewhere), but even physical attacks, even on nuns (last year in the monasteries of Binič near Kosovska Vitina, Mušutište near Prizren, as well as this spring: in Devič - where the prioress suffered grievous bodily injuries, a novice of the Dečani monastery was injured by an axe, the hieromonk of the Gorioč monastery was hit in the head with a stone, priests around Kosovska Mitrovica were stoned, etc), which resulted in emigration of our faithful from those regions." In his reply of 23rd May 1969 Tito expressed his regrets for the conduct mentioned in the letter of the Serbian Orthodox Church "which constitute a violation of the Constitution of the SFRY". As the President of the SFRY he would do everything "to prevent disturbances and unlawful acts and ensure the free life and the integrity of all citizens, as well as the safety of their property". To that effect Tito submitted the letter of the Serbian Orthodox Church to the Executive Council of the SR Serbia, with his opinion "on the need for the adoption of determined measures for law enforcement". However, documents like the 1982 Synod report, published in the Gazette (of the Serbian Orthodox Church) number 7/1982 (in which the correspondence with the President of the Republic was also published) and all consequent reports to this day, including newspaper articles and verbatim reports of the citizens and the believers, contain data oh the continuation and even escalation of violence and attacks on the Church and the clergy, where nothing is held sacred but graves are desecrated, girls and old women and in particular the nuns are being assaulted and raped, priests, deacons and even the Episcope of Raska and Prizren beaten up. Nothing is spared, not only men of the Church and the people in general, but also cattle belonging to the Church, other Church property, and also the food which is essential for survival. The crisis of the national relations in Kosovo is no longer a secret. It is no longer a mystery, not even to the Yugoslav public, as to who in that Socialist province is the victim of national hatred. Chauvinism and genocide. The victims are the Serbian people who seek no more but equality and freedom in the state of free and equal nations and nationalities. This nation demands peace and law, it does not seek vengeance, but demands the right to remain undisturbed and work on the land of its ancestors. Despite all decalarations, conditions in Kosovo have not improved nor have the conditions for the peaceful life and work of the Serbs been created, and particularly not for the return of; those banished and expelled. What can the Church do and what should it do and what is the prospective of its activity in Kosovo and Metohija? 1) The Church should and can fight for the survival of the Serbs in Kosovo, against emigration. It will have to call upon the traditional values and spiritual forces of the Sveti Sava tradition to influence the people, to encourage them and point the ways of hope, ways which have never in the Serbian historical experience been dead-ends. But to . have a wider moral base to do it if any result is to be expected, it is ; necessary to understand that the question of survival of the Serbs in ' Kosovo is not just the question of the Serbs from Kosovo, but of all the Serbs. Thus the Church as a whole has to be active, not only the Eparchy of Raška and Prizren, to develop the solidarity, aid and support of the Serbs from outside Kosovo for the suffering people who are subjected to violence in the province itself. The Serbs will not remain in Kosovo if they do not feel not only compassion, but real moral, social and other support by Serbia and the Serbian Church as a whole. 2) From that stems an important requirement: that the Serbian Orthodox Church should act in full solidarity with its Eparchy of Raška and Prizren, and that it should not repeat the mistakes of "confederate feudalism" which is, quite justly, often mentioned outside the church. The suffering of the Church and of the people in Kosovo affects the whole Serbian Church and the whole Serbian nation, and that should be made clear by words, by conduct and by deeds. Thus I take the liberty to comment that much more could be done at the highest levels of the church than by individual, almost private, appeals by groups of priests and monks of the Serbian Orthodox Church. The Church can, and I presume it also has to inform the whole Christian believing world, Orthodox in particular, and through that even the whole civilized world, of what is happening to its people in Kosovo. A "White Paper" on genocide could easily be prepared, published in foreign languages and dispatched to all Orthodox Churches and to all Christian denominations and to the world public in general, for information and support. 3) The Serbian Church has to keep on fighting for the full truth about Kosovo and for the right to have the truth told. Those are fundamental requirements, it is not politics into which the Church is neither allowed to interfere, by the Constitution, nor should it do so. Defence of the truth and protection of the rights of the Serbian people are not creating any political or clerical-nationalist sentiments, and that needs to be made very clear. No doubts can be tolerated regarding existential rights nor can attempts to paralyze those rights by unjustified accusations concerning its alleged "political activities". 4) The Serbian Church will have to keep on preaching love, not hatred and pardon, not vengeance, modeled on the tradition of the holy Christian confession and martyrdom. Where the Albanian people are concerned, regardless of their religion and denomination, the Church must take care that the sentiments of justice and humanity, of the generosity and dignity of the Serbian people do not ever, at any cost, diminish. That is not a tactical but an essential question for a real, Orthodox, Church. I have to emphasize that the example given by the Bishop of Prizren, Pavle, is an example which should be followed by everyone: to behave as a calm confessor and hermit in his faith and love of man, patient, but also determined to defend "what belongs to God" - and that is the soul, the human conscience. This behaviour should not be taken as a sign of weakness; on the contrary - it shows great spiritual might. We think about Kosovo and about ourselves in Kosovo along the lines of that spirit, for that is the charge entrusted to us by the Serbian sanctities from Kosovo - even if we overlook, eradicate and offend them. I have written about the hardships of Church in Kosovo. That also means that I have written about the Body of the faith and holiness, of the spirit and eternity in Kosovo. And what both the Church and we need more than anything else is that confidence of the Gospel which says that "it will not cease at the gates of Hades".